The sounds of old-school country music will highlight this week’s Friday Night Live event in Downtown Salina. According to Salina Arts and Humanities, this week’s event is a performance by vocalist Savanna Chestnut. In collaboration with downtown stakeholders, Salina Arts & Humanities presents Friday Night Live, an arts and entertainment series designed to increase attendance and participation in arts-related events and to strengthen partnerships with local business owners in the downtown arts district. 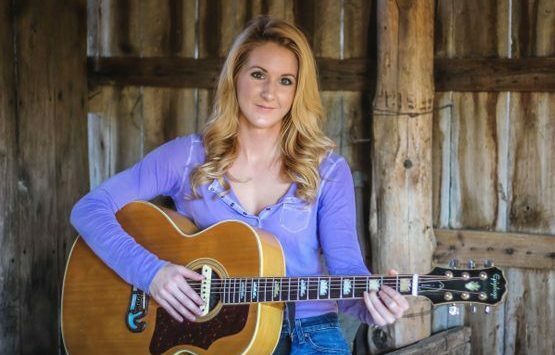 Savanna Chestnut is a country music singer/songwriter whose music reflects her small-town roots. Growing up in rural Kansas, Savanna developed a love for the sweet, twangy sounds of old-school country music. That is exactly what she aims to bring to Salina and back to the modern country scene. This Friday Night Live show at 8 p.m. is free admission and suitable for audiences age 21 and older. The show with Savanna Chestnut is this Friday night beginning at 8 at The Voo, 249 N. Santa Fe in Salina.